16 5/8" overall. 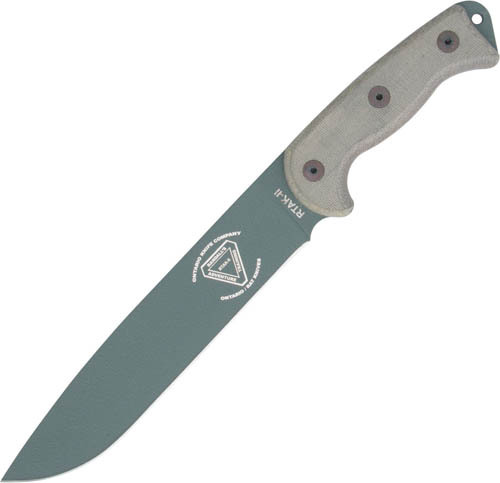 10 1/4" 1095 carbon steel blade with a foliage green zinc phosphate finish. Full tang. OD green linen micarta handles. Black heavy nylon sheath with liner and gear pocket.